Obituary for Mr. John Myron Zeleznik, Jr.
John M. Zeleznik, Jr., age 87, of North Royalton, Ohio; beloved husband of 58 years of the late Loretta E. Zeleznik (nee Zoller) who passed away in April 2018; loving father of Craig M. Zeleznik (Pamela); dear grandfather of Bryce Zeleznik and Austin Zeleznik; cherished uncle of Karen Tillman (David), Steve Zoller, and Linda Kreiner (Michael), and great-uncle of Michael Tillman, Jonathan Tillman, Kaitlyn Kreiner, Matthew Kreiner, and Kyle Kreiner; cousin and friend of many. John was a 1949 graduate of James Ford Rhodes High School in Cleveland, and served in the U.S. Army during the Korean War from 1952-1954. He joined the Cleveland Fire Dept. in 1957, and spent 34 years as a firefighter, retiring as Battalion Chief in June 1991. John was also a 50 year member of the John Barkley Masonic Lodge No. 621. He passed away on Saturday, March 30, 2019. Although flowers are appreciated, the family prefers memorial contributions be forwarded to the Western Reserve Fire Museum, 310 Carnegie Avenue, Cleveland, Ohio 44115, or visit www.wrfmc.com. The family will receive friends at the BUSCH FUNERAL HOME, 7501 Ridge Road, Parma, from 5:00 P.M. to 9:00 P.M. on Wednesday, April 3, 2019. 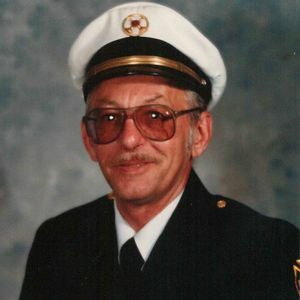 Funeral service at the funeral home on Thursday, April 4, 2019 at 11:00 A.M. Interment with U.S. Army and Cleveland Firefighter honors will follow at Brooklyn Heights Cemetery in Cleveland. Please enhance this tribute to John Zeleznik by adding your memories and photos.